Great story, poor dumbass bird, happy ending! Everyone asks me if I fish and the answer is always no. 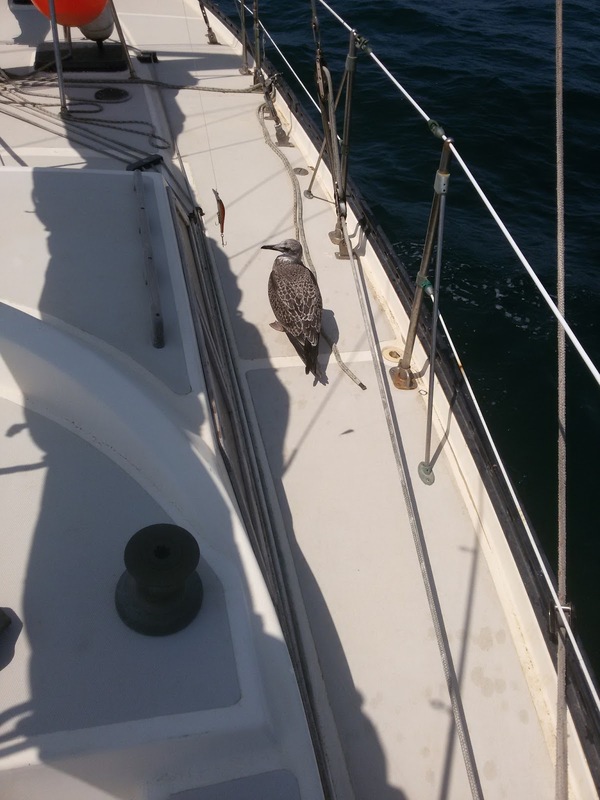 Went solo sailing, it;s just an extra thing to deal with. Then you have to deal with a caught fish, or worse.... the emptiness not catching anything. But then again, I haven't even got a line and lure! I always put off fishing because I thought gutting fish aboard would make a stinky mess. But not really, and you can throw the waste back into the ocean where it will be eaten by other fish. So maybe I'll sell Jakatar and buy a fishing boat...when I'm 75!!! 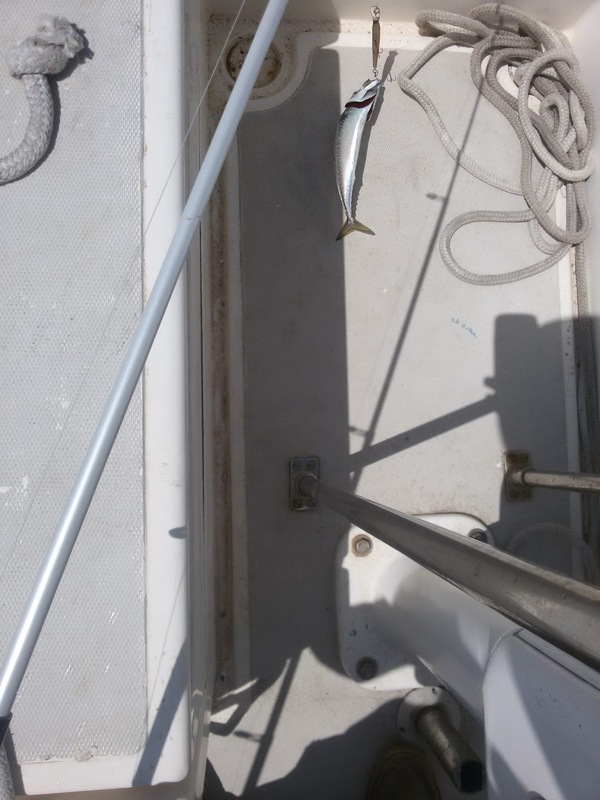 A caldeirada with a single mackerel? That's a simple one LOL. It was a minimalist caldeirada...besides, I'm trying to lose a few kilos for climbing the mast!! Fun stories about someone rediscovering his hunter gatherer instincts. Im not a big fan of trolling a lure while under sea, the only kind of fish going for it (besides the occasional seagull) are predatory fish, because they are fast enough to catch the lure. Lots of work to get them inside with the boat under sail. If you really insist in trolling, invest some money in a small paravane, this will actively pull your lure under water and raise the lure and the line when some fish invited himself for your caldeirada. p.s. I'm in town right now and will check out once in a while if you're on board. Hello, I was at the marina today to check if all this wind had blown the boat away. The boats on the outside were rocking like rodeo bulls, but everything was OK. I'll probably be there Wednesday afternoon or Thursday (which is supposed to be my boat day). If you see my jeep, I'll be there. Are you saying that your boat is so fast that only speedy fish can bite the lure? Did you buy a new sailboat? :-).